The Amundsen Sea. It’s one of the most remote places on Earth. 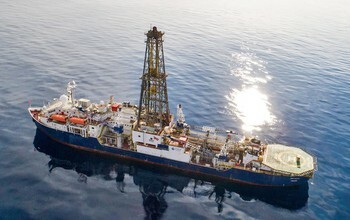 NSF-funded scientists are there, aboard the drillship JOIDES Resolution, on an expedition to study the climate-sensitive West Antarctic Ice Sheet. Read the press release from the National Science Foundation here.